Microsoft and Google, the Hatfields and McCoys of the high-tech industry, have carried their scrap into the race to digitize health care. The tech rivals launched similar personal health record services in 2007. Both are pitching consumers on an electronic record that they can control and share, as they see fit, with health care providers. With Google Health and Microsoft's HealthVault, consumers can maintain a digital health record that contains various data from medical offices, hospitals, pharmacies, and even patients themselves. But as the warring tech giants extend their reach into health care, they are saying nice things about one another--at least for now. "I love Google Health," said Sean Nolan, the chief architect of Microsoft's HealthVault service. "What they are trying to do is a good thing...We are in the same boat. We're not really fighting with these guys. We're all trying to make it work." The love, apparently, is mutual. "I think it is critically important that there is more than one company trying to do this. 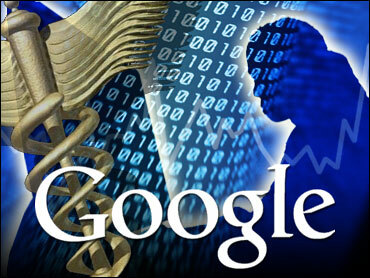 (Personal health records) are very hard to get right," Google Health product manager Roni Zeiger said. "We certainly haven't done so yet." So what gives? Perhaps mutual interest comes before brass-knuckled competition. Google and Microsoft face many of the same issues--privacy, bureaucracy, and technological intransigence in the health industry--as they attempt to put their own spin on e-health. "There's a pretty sizable group of consumers who are going online and using Web 2.0 tools to not quite manage their own health but at least to communicate with others," said Matthew Holt, co-founder of the Health 2.0 event and author of The Health Care Blog. "This is the world that Microsoft and Google are trying to tap into. They are trying to make a connection between the data that exists in various places in the health care system and those consumers (who) want to be proactive in their health." Both companies are in the early stages of their efforts, having launched an initial Web-based product that individuals can use to store a variety of personal health records, including prescriptions, allergies, and medical-device data. Such records could dovetail with the growing number of digital health care records being maintained by individual providers and even work with online patient communities in sites such as Yahoo Groups. Microsoft and Google are making the case that patients can get better individual care by having a record that they can take with them. They also believe that amassing a broader collection of data could help show trends and cut down on medical errors. Zeiger paints the typical scenario in which digital health records could come in handy. Say a person is out of town and gets sick, and goes to an urgent-care clinic or emergency room. The doctors there have no idea about that person's allergies, medical history, or other information. They must therefore rely on whatever the patient can remember and write down. "Much of our inspiration comes from the fact that it is getting very hard to keep track of all the data that are in these large manila folders, especially when we need to access data on the go or in an urgent situation," Zeiger said. However, the idea of a digital health record has also stirred privacy fears. Although both companies say their services put patients in control of their records, some health care providers remain concerned over how the data will be handled, particularly if Google and Microsoft aren't subject to the Health Insurance Portability and Accountability Act (HIPAA), the federal law that governs how doctors and hospitals handle data. "Without patient trust, (Google Health and HealthVault) won't really flourish," said Deven McGraw, director of the Health Privacy Project at the Center for Democracy and Technology. Right now, it's up to each person to read the terms of service for whatever service that they are using. Even though Microsoft and Google have good policies, McGraw worries that other sites will inevitably emerge, and may or may not offer similar protections. "It still puts the burden on the individuals to read these privacy policies and understand all the potential uses of the data," she said. "That's really not a good place to be." Another challenge: by their nature, these online services amalgamate records from a variety of sources. One of the richest sources is billing data, but as one recent case illustrates, such records are also prone to errors. One particular patient, Dave deBronkart, took to the blogosphere to talk about flaws he found in his Google Health record based on the fact that it used data compiled from billing codes, the numeric shorthand used by insurance companies to reimburse doctors and hospitals. Some of the data was years old, though not labeled as such, while some of the medical history listed conditions or incidents--including an aortic aneurism--deBronkart said he never had. "In other words, the data that arrived in Google Health was essentially unusable," deBronkart wrote. "And now I'm seeing why, on every visit, they make me restate all my current medications and allergies: maybe they know the data in their system might not be reliable." Google's Zeiger defends the usefulness of such records, even while acknowledging their limits. "We have a lot of work to do to determine how to make (Google Health) as useful as it can be to both clinicians and patients," Zeiger said. "Even though it clearly is not perfect, it helps (doctors) know what questions to ask." Nonetheless, Google announced on April 27 that it would shift its policies, with regards to data, and send only the text and information entered by doctors, leaving out data related to insurance billing codes. "The result will be more accurate and useful information in patients' Google Health profiles," Google said in a blog post. Yet another concern: putting so many records in one place could ultimately result in insurance companies demanding that people hand over records as a condition of coverage. "That's entirely possible," says the CDT's McGraw. "It shows the limits of relying on consumer consent. They don't have any choice but to open it up." In practice, insurers already gain a great deal of information, but the digitization of records makes it easier for them to gather more. As with the move to electronic health records at providers, many say it will ultimately save lives and that given the choice, most consumers would rather have more access to their health records, despite the concerns that such records raise. Facing so much common criticism, it should not be very surprising that Google and Microsoft are making nice on e-health. In addition to ironing out the kinks and looking to educate consumers, both Microsoft and Google are scrambling to sign deals with seemingly every provider of health care, drugs, or anything that might fit in the virtual manila folder. Google has deals with laboratory giant Quest Diagnostics and Blue Cross Blue Shield of Massachusetts. Last month, Google expanded its deal with CVS to enable patients of the company's pharmacy to import their prescription records into Google Health, joining other pharmacies, including Walgreens and Longs Drugs, as well as pharmacy benefit managers such as Medco. Microsoft, for its part, has deals with some of the same partners, as well as others, such as the Mayo Clinic. Last month, it signed a deal with NewYork-Presbyterian Hospital. One big difference: Google's effort is focused squarely on the consumer, while Microsoft is also pitching its Amalga technology to help hospitals organize their electronic data. That effort, which stems from its 2006 purchase of Azyxxi, has Microsoft installing back-end systems at medical facilities such as those of The Johns Hopkins Hospital, El Camino Hospital in Mountain View, Calif., and NewYork-Presbyterian. Given the risks and benefits of personal health records, who will sign up for these online services, and who will stay on the sidelines? Certainly, it's an individual decision. John Halamka, chief information officer of the Boston area's CareGroup, said he expects there to be a generational divide, in terms of who actually makes use of personal health records. "It's not for everybody," Halamka said, noting that his mother would make a poor candidate. "My mother reads her e-mail by having my father print it out." But, he said, for the generation that has grown up on MySpace or Facebook, it is going to be natural to want to go online to, say, get the results of a throat culture. "There are a lot of folks who are going to find personal health records (online very useful)," Halamka said.